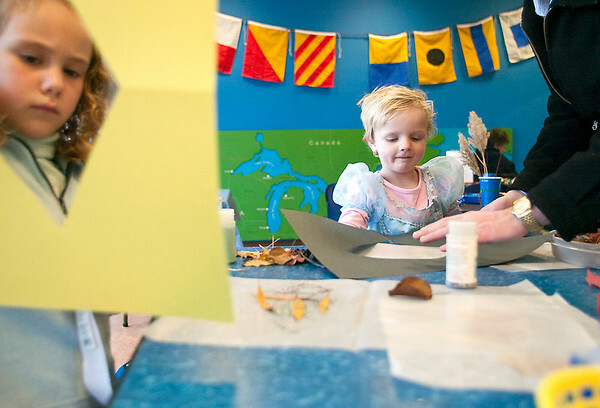 From left, Emma Macaluso, 6, her sister Zoe Macaluso, 3, and their father Joe Macaluso, all of Elk Rapids, make special place mats during Toddler Time Wednesday at the Great Lakes Children's Museum. Visitors could make Thanksgiving decorations, including place mats, centerpieces and napkin rings. The trio was visiting the museum for Emma's birthday.